Got a term plan for your family? Or may be you’re planning to take the term plan in a few days. If you are, good for you! . One of the biggest questions, every person considering term insurance has, is – “Should I take the cover for the maximum period? Aegon provides coverage upto 75 years of age. or 20 25 30 35 40 years. I am confused which policy term is better to get maximum benefits? And they happily ignore my suggestion; as if I am crazy, suggesting this to them. The “Insurance only till 60 years” looks kooky to them – kind of a “wrong deal” and they want to get “maximum benefit” out of the term plan. “The chances of my family receiving the claim amount is higher when I am covered for long” is the common thought process of every person who is in the mad rush of buying the highest possible tenure. For a person who is not earning and does not bring money home, his death will cause family only emotional loss; not financial loss. Hence, logically you need to cover yourself through a life insurance product, only for the time you are working and others are financially dependent on you. Stretching the 1st point, if you are taking life insurance cover until you are 70-75 years, will you really need it at that time? Do you really feel that you will have any reason to have a cover of 1 crore that time (after 30-40 years?) . I am sure (more confident than you), that you would have completed all your financial goals by that time, you will have your own home by that time and you will have done everything in your life by that time. You focus area at that old age will be very different than what you focus on right now. To understand this point, you have to stop for a moment and go into 2040-50; when you are retired and close to the heaven’s door. Are your children really financially dependent on your income – which does not exist? Is your spouse dependent on your income? You must have already accumulated enough wealth by that time and you must be getting some income out of that. Your death has nothing to do with family cash flows at the time. Most of the people who feel that they are smart enough to take term plan till 75 years, forget that on the other side is a professional business running for decades now. They have hired people who are 10 times smarter, who design products (they are called Actuaries) that generate large profits for companies and not investors. Life Insurance is a “for-profit” business. They design things, so that they earn profit. If a company allows you to take a plan that lasts until you turn 75, why have they done that? Why did they allow that to happen? The premiums they charge already factor in everything. You pay premiums to get that term plan, it does not come free! 4. You will live longer – and they already know that. Like I said in my last point, companies are “for-profit” businesses. They will not issue you a policy if your chances of living beyond 75 is not high. If you are a healthy person, already earning well, have access to good health care, what are the chances you will live beyond 75 years of age? Extremely high, that’s what! Now just imagine this … Compared to the 1.25 billion people in our country, are you in top 25% or lower? Which means that you have much much better prospects to live beyond 80-85 years. Which brings me to another point, that you should seriously worry about about your retirement planning a lot more than the less important question of insurance beyond 70-75 years. Even when we do financial planning for our clients, we make sure that we plan for their retirement beyond 85 years and have them covered only till 60 yrs or even lower if they feel they will retire earlier. The important point to understand here is that, a life insurance coverage is just a support for your family in your early life when you are making money, your financial replacement, if you will. So when a life insurance company issues you a term plan until 75 years, it’s not you who are smart, but the company! They know, with a really high degree of probability, you will keep paying the premiums till 75 years. It’s all chance. Yes, there will be people who will die before they reach 75 years of age and yes, their family will get a lot of money, but it really is just the game of chances … Companies make profits because of those who will live beyond 75 years and not by those who die before that. I hear it most of the time – “I am taking the term plan till 75 years, so that even if I die, my family will get the money. So, the higher the tenure, higher the chances of making money.” But they forget that by doing so, they are actually helping the insurance guys make profit, but lets say you die at 70 years. Celebrations! Your family will get that 1 crore, which at this moment sounds good, but will not be worth a lot that time. It would be very good number if you die early in your life! . With each passing year that 1 crore will be worth less. If you die the next year of taking the term plan, the worth of that 1 crore is pretty much same, 1 crore. But if you die after 10 yrs, that 1 crore will be worth 50 lacs in today’s world. So getting 1 crore after 10 yrs is same as getting 50 lacs right now. Are you getting my point? 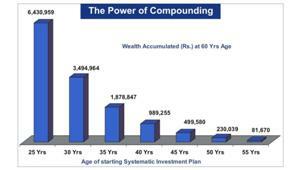 The money you get in term plan is a constant number, not linked to inflation! So imagine you have taken the term plan till 75 years and you die at 70 (after 40 yrs of taking the term plan), what is the worth of that same 1 crore at that time? Hold your breath! It’ll not more than 6-7 lacs assuming a inflation of 7% and even if inflation for next 40 yrs is a small 5%, it would not be worth 15 lacs today! . So when your family gets that 1 crore after 40 yrs, it’s kind of worthless. No one would be depending on that money anyway; it’s just a bonus on your children’s inheritance money! I have been seeing this madness for many months now and was constantly wondering why people are focusing so much on this small thing called “long tenure” in the term plan. I see investors abandoning one insurance company for another just because the other company is offering a term plan till 75 years. You are allowing yourself to fall into a trap if you do this. 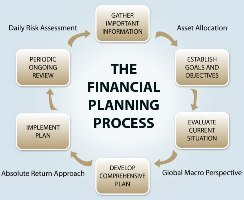 If you have already taken the term plan till 75 years, do not worry … do not cancel it, just let it run it’s course. Stop paying premiums when you feel that your family can be taken care of, by the wealth you have generated. If you are planning to take a term plan right now, take it for as long as it takes you to retire, probably till 55 to 60 years, but not beyond that.